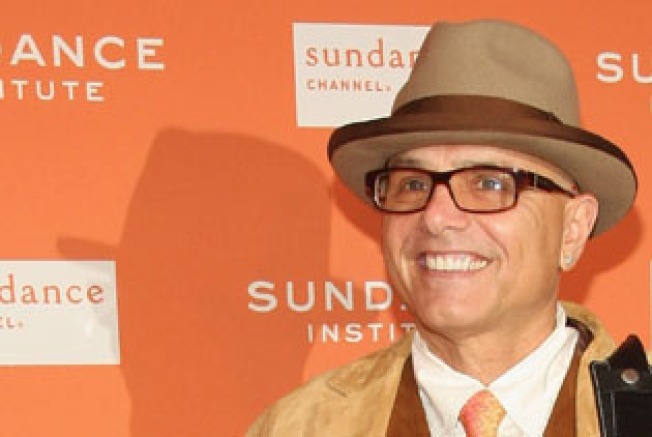 Actor Joe Pantoliano shares the secrets of his success at Hudon Union Society tonight. NICE PANTS: Joe Pantoliano has lived, and wants to tell you about it. Spend the night with Joey Pants at the Hudson Union Society and hear the heartwarming tale of how a snot-nosed kid from Hoboken grew up to be an Emmy-winning actor. 6:45PM. FRONT ROW: What recession? The Drama League's 25th Annual all-star Musical Celebration of Broadway comes to the doomed Rainbow Room, bringing Chita Rivera, Christine Ebersole, and pretty much every other boldface Great White Way name together for a night of black-tie entertainment. 7PM. GIMME MORE: If you have the misfortune of working in the nonprofit world, that hard rain that's going to fall is probably fixing to get you very wet indeed. You might learn something from bigwigs from places like BAM and Lincoln Center, who'll pow-wow at the New School on the topic of Fundraising and the Financial Crisis: How Forward-Thinking Nonprofits are Creating Opportunities. 7PM.